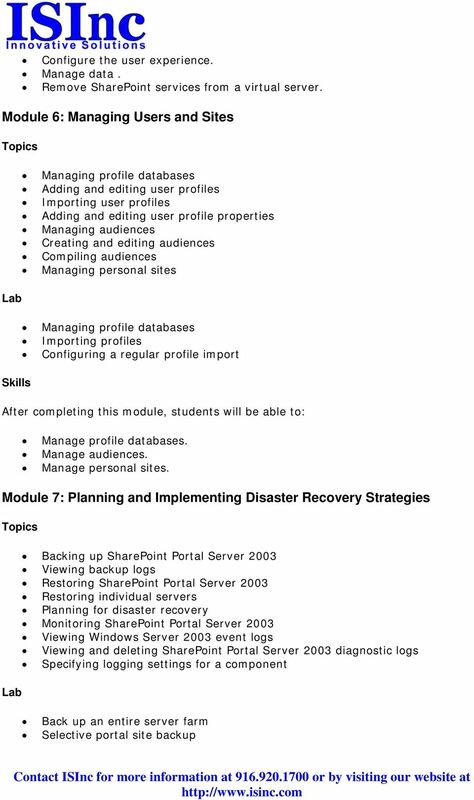 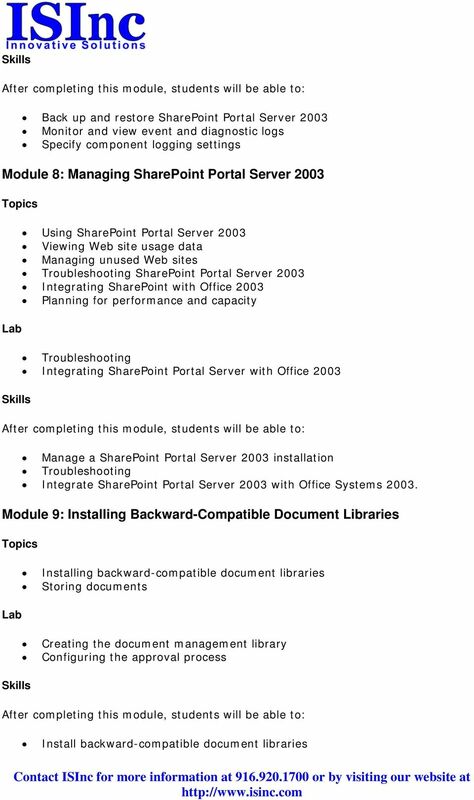 Download "Planning, Implementing and Managing a Microsoft SharePoint 2003 Infrastructure"
4 Updating application pool account for SharePoint central administration Extending the virtual server Adding restored content database and removing stand-alone MSDE content database Connecting to server farm configuration database and data migration application pool Updating default content database server and verify Adventure Works portal on Dublin Deploy SharePoint Portal Server 2003 on a server farm. 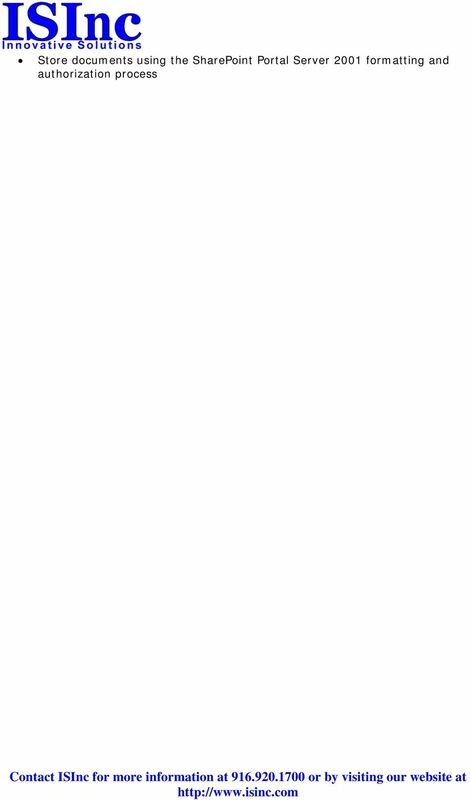 Apply advanced installation options. 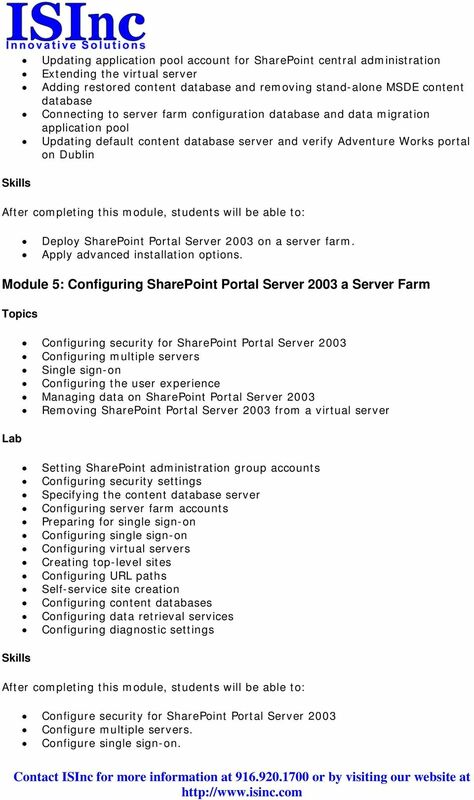 Module 5: Configuring SharePoint Portal Server 2003 a Server Farm Configuring security for SharePoint Portal Server 2003 Configuring multiple servers Single sign-on Configuring the user experience Managing data on SharePoint Portal Server 2003 Removing SharePoint Portal Server 2003 from a virtual server Setting SharePoint administration group accounts Configuring security settings Specifying the content database server Configuring server farm accounts Preparing for single sign-on Configuring single sign-on Configuring virtual servers Creating top-level sites Configuring URL paths Self-service site creation Configuring content databases Configuring data retrieval services Configuring diagnostic settings Configure security for SharePoint Portal Server 2003 Configure multiple servers. 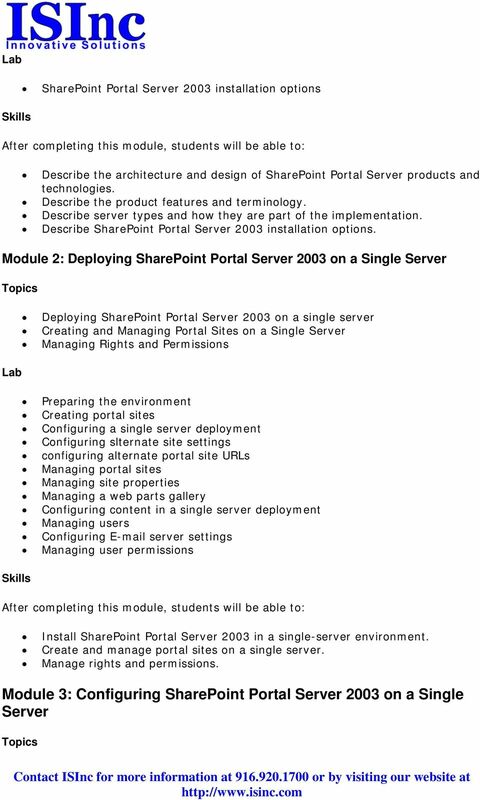 Configure single sign-on. 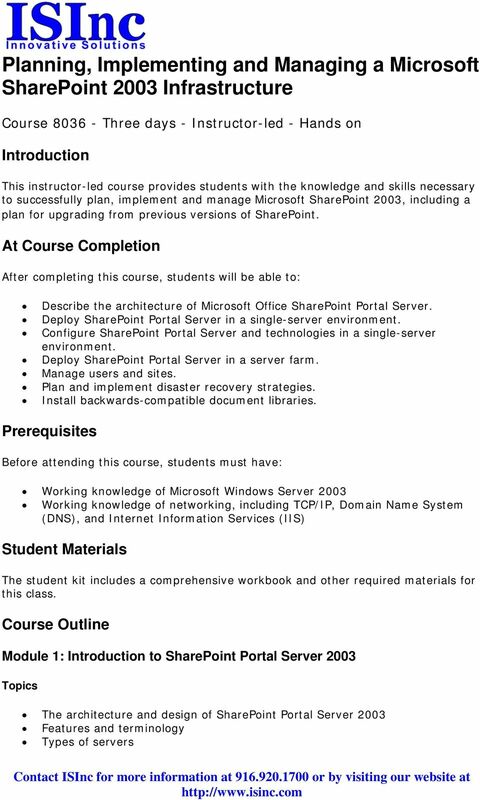 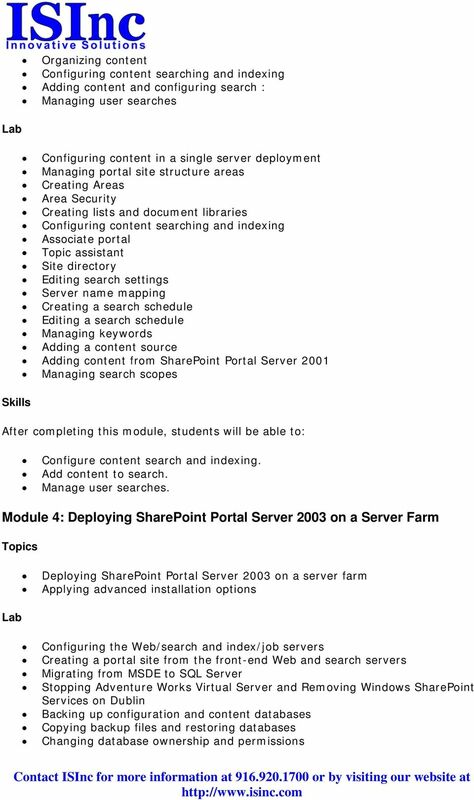 Course 10174B: Configuring and Administering Microsoft SharePoint 2010 Course Outline Module 1: Introducing Microsoft SharePoint 2010This module provides an overview of SharePoint 2010 and SharePoint Online.